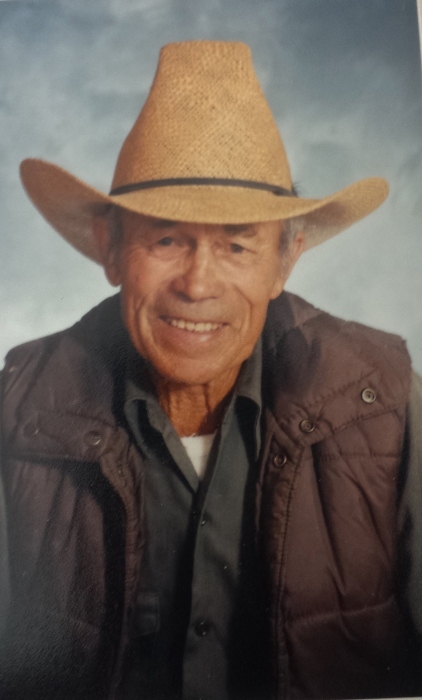 Eugene Davilla, age 97 of Baker City died April 4, 2019, at the Ashley Manor care center. 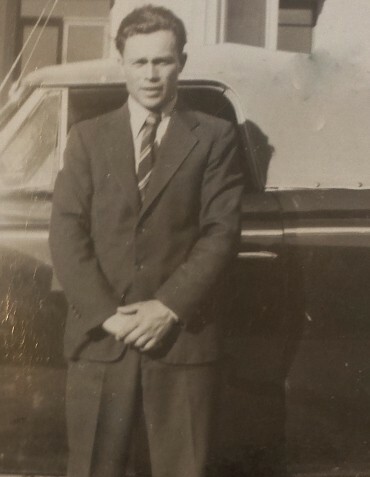 Eugene had been a resident of Baker County for fifty-two years. He was born in Contra Costa County, California on June 10, 1921, at the family ranch near Martinez to John Davilla, Jr, and Alta Silva Davilla. 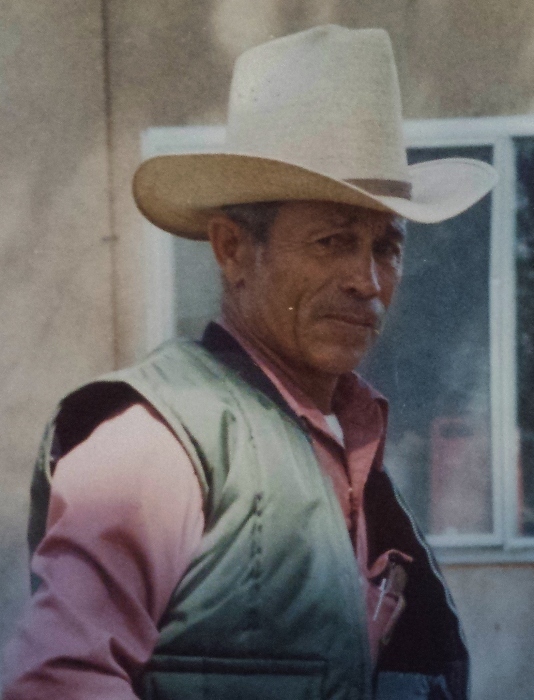 He attended school at Pleasant Hill and Concord, then went into ranching with his father, while also working in the trucking and construction industries in the Bay Area. He married Joan Frederick in Carson City, Nevada and they ranched in Elk Creek, California for seventeen years. While in Elk Creek, Eugene also worked as a forklift driver at Setzer Forest Products and shod horses in the local area. 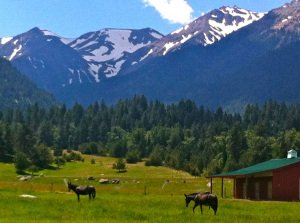 In 1967 the Davilla’s purchased their ranch in Oregon from Milton and Norma Prowell on Beaver Creek Road, where the family continues to ranch. He worked for eleven years at the Baker Auction calling pens for the pen riders, often working long into the night at the special feeder sales. Gene liked horses and broke several to ride and work, the tougher the better! He took excellent care of his fences and his cattle, he believed that good fences made good neighbors! Although he lost his sight in 2004, he still stayed active taking walks and even continuing to cut some of his own firewood. 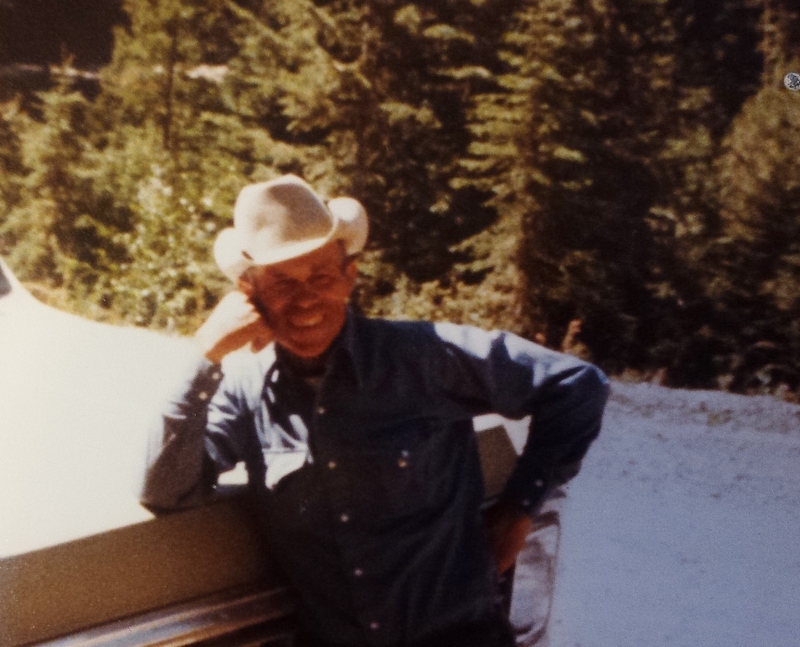 He loved sitting on the front porch listening to the sounds of the ranch. Gene was preceded in death by his parents, John and Alta, his sister Lena and his brother George. He is survived by his wife, Joan of Baker City, daughter Lynn Davilla of Redding, CA, son Larry Davilla (Tammy) of Baker City, daughter Karen Dolven (Creig) of Payette, Idaho. Grandchildren Kelly Rust (Tony) of Hillsboro, OR, Jamie Yahne (Joe) of Gig Harbor, WA, Ryan Davilla (Katy) of Baker City, Brandon Davilla (Stefani) of Roland, AR, Colin Davilla of Baker City, Rylee Dolven of Moscow, ID and Shyean Dolven of Las Cruces, NM and six great grandchildren, Trey Yahne, Roman Rust, Kaydance Davilla, Renzo Rust, Jazzie Yahne and Reins Davilla. Memorial contributions can be made to the charity of one’s choice through Gray’s West & Co. Pioneer Chapel at 1500 Dewey Ave., Baker City, OR 97814. Per Gene’s request no formal services will be held, the family will hold a celebration of his life this summer to spread his ashes on the family ranch.